Venice Pest Control is a family-owned and operated local business that has remained committed to the values of honesty, quality, and dependability since its founding in 1974. We offer a wide variety of residential and commercial lawn care and pest control services in Venice, Florida and its surrounding communities. Our certified pest management professionals (PMPs) will carefully inspect your property and recommend targeted services that use the latest industry technology to protect your home or business from harmful pests. Both Pest & Lawn techs were on time and very informative. Doug, the 'Ant-Whisperer', treated the house, inside and out, as well as installed outdoor bait traps; he found the colony in a garden in our lanai and remedied our kitchen's 'white-footed ant' problem in 24 hours (YES!!). Chris vigorously treated every outdoor plant, including the lawn. Can't wait to see our yard as nice looking as our neighbor's, who also uses Venice Pest & Lawn. We're thrilled with the thoroughness of the applications, both the pest and lawn service. I'm writing to comment on Doug, the representative that has been coming to our home for several years. He is always so cheerful, polite, and respectful; and of course, does a wonderful job. We are 100% satisfied with the services we receive. Even my English bulldog, Daisy, who just passed away, loved Doug. I recommend Venice Pest Control, and have done so, to family and friends. Fast service and great job. We highly recommend Venice Pest Control. Eric Ryan has been our technician for several years and has always been professional and responsive to any questions or concerns. Our home is virtually pest free and we appreciate the excellent customer service. They have been very helpful at pointing me in the right direction for the care of my lawn. I have had other services before, but they never explained what I needed or how I could achieve a green and beautiful lawn. Thank you. Eric is always on time, polite, and is willing to explain and answer any questions we may have from time to time. He does a very thorough job and is always willing to listen to any problems we might be having. I have been a customer for six years. Very happy with service and very reasonable cost. I have had very few issues, but if I do they are resolved quickly. Eric is always here on time, friendly and very thorough. When we moved to South Venice in 2015, (3.5 years ago now) our house had been vacant for a few months....and some roaches had moved in! I am deathly afraid of bugs, and roaches in particular...ugh! So, we asked around and got a good reference to Venice Pest Control. Ever since that day, we have relied on Venice Pest Control to keep us bug-free! Eric Ryan has been our technician since the start, and we love knowing that he will be the one coming to take care of our house, and us. He is very knowledgeable, respectful of our home, and polite. For us, every 3 months an outside treatment is done and, less frequently, an inside review and application is done here and there. They will also answer any other pest related questions not specific to their work. We are delighted to have found Venice Pest Control, and Eric in particular! Thank you! Steve did a wonderful job for us. Tried several pest control companies until I found Venice Pest Control. They are the best! Eric Ryan is an outstanding technician, in addition to being kind, reliable, professional and always a gentleman! Thank you Venice Pest Control for the outstanding service. Venice Pest Control has been my pest service for a couple of years and Eric Ryan is my technician. He is wonderful, helpful, informative, spot on. I couldn't ask for better service. We have been customers for several yrs & Eric Ryan is our technician. He is very courteous, prompt, professional & informative. He"s always helped with any issue we may have, as well as taking care of our routine treatments. He"s a definite asset to your company. We have been customers for a few years for both pest control and termite protection. Eric Ryan is our regular technician and has been a pleasure to deal with. He has always been on time, thorough, friendly and efficient, and is an encyclopedia of knowledge about insects. Anytime I ask a question about a particular insect (today was about spiders on my pool cage) he completely explains their nature and control. He is a credit to your company, and we are happy to do business with you (and him!). 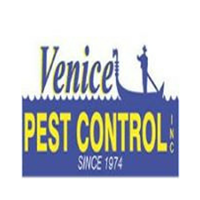 We"ve used Venice Pest Control for years now and they are the best! Eric is our Tech and he"s punctual, polite, knowledgeable, thorough, and always asks if there are any insect activity concerns either inside or out. The service and quality of V.P.C. is A+. The service was affordable, Venice Pest Control is very easy to work with and all the folks we ever talked with were polite and helpful. Bottom line, with their service we've never had any pest issues when owning our Venice home. Your representative, Eric, has been very helpful in dealing with vermin in our crawl space, even during our absence in our Venice, FL residence. During our recent rodent problem Keith has been great. He has worked hard to solve the problem in our building and kept us advised of the progress. Courteous, friendly and empathetic to our situation. Great service from Venice Pest Control. Thank you. Great at rapid response to customer service needs. Been a customer for several years now. My specialist, Eric, is always prompt and very polite. I have been a customer for 3 years and I am very happy with the results of your service. Eric is very good at his job and does great servicing my home. Some times people think they can do their own pest control but your service proved to be a much better way to go.Eric is always willing to meet my requests and is always very informative explaining any problems he may find. Your product is good and Eric is great providing it. Customer service is number one. I called they showed up the same day. I stopped in the office a few days later, as I was across the street, they set me up, and even gave me directions where I was heading next. Highly recommended. Very hard working and knowledgeable workers. Prompt, good and courteous service. Mark does a great job. I seldom have any problems. My first experience with Venice Pest Control was very positive. From the manager who did the initial evaluation and proposal, to the technician who did the application, I was treated with courtesy and respect and the employees acted in a professional and friendly manner. This is a family owned business that has been around for many years and has earned an excellent reputation based on my research. So far I have seen immediate results and I am happy with results. Additionally, they encourage you to contact them at any time you see something that is a concern. Good guys ! Respond quickly. Very pleasant and great prices. We had our first application a couple of weeks ago. Eric was very professional, nice, patient and answered all of our questions. All around it was just a pleasant experience. We haven't seen one bug since he was here! Very pleased so far. Thank you Ms. Pindor for the exceptional review- we are fortunate to have Eric as part of the Venice Pest Control family! Mark is very responsive if we call with any issue between his regular visits. We are very pleased with him. We just started using your company for insects on the lawn. Chris seems to be equally as helpful and takes time to explain things, as does Mark. Great Service from Doug. Was there the next day, resolved our issues and set up a reasonable maintenance program. Thank you Mr. Mattson for the great review! Douglas came the day after we called. Very professional and friendly....gave us tips to keep our home pest free. Treated outside and inside and the tiny ants that were in our guest bath were gone within an hour! Haven't seen one since! Thanks. So far we are seeing greatly reduced number of ants. Mr. Mitchell, thank you for the review, a perfect example of the saying "go bugless with Douglas!!" Was glad to find a local family owned business. Kris is friendly and professional and after dealing with other pest control companies we know we have finally found the right one. Thank you for taking the time to write such a nice review on Kris & Venice Pest Control! Steve and Eric have done a great job. Your review is much appreciated, we are grateful to have Eric as part of the team here. Thanks again! Everyone has been very nice, prompt and professional. I am really glad I hired Venice Pest Control! Thank you, Ms. Thompson for the great review! We look forward to serving your pest control needs for years to come! Thanks for reviewing our company- we appreciate your business! !